If not for a recommendation on Laird Barron’s blog, I might never have picked up this excellent collection (to which Barron provided a foreword). 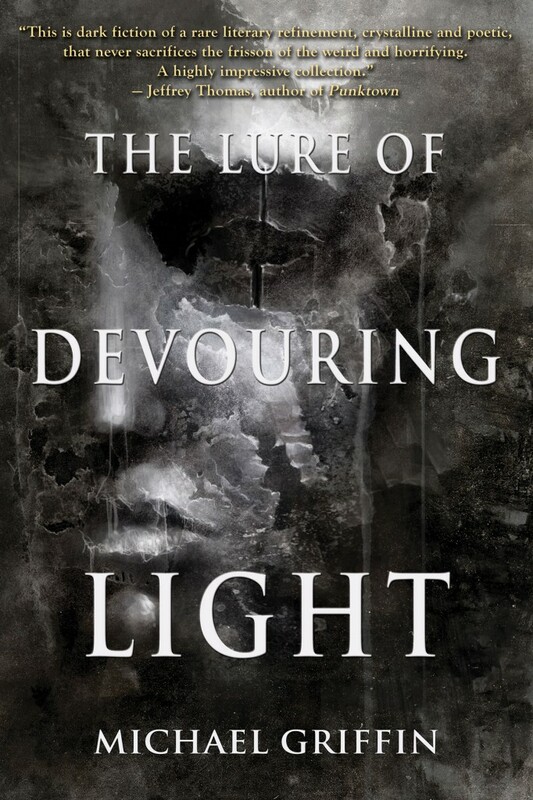 Prior to the release of this collection, all I’d seen from Livia Llewellyn was “Brimstone Orange,” too short a piece to give much of a sense of this writer’s capabilities. I’m very glad I didn’t miss what turned out to be one of the best single author short story collections I’ve come across in recent years. Llewellyn’s prose style is strongly visual and evocative. Readers who prefer their prose simple and declarative may find this a too rich, but those enjoy a writer with a vibrant, poetic approach to putting words together will love it. 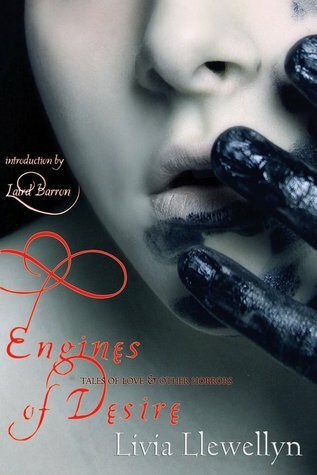 Especially as a debut collection, Engines of Desire is noteworthy for the strength and richness of its language. That’s not to say these stories are for everyone. The mood is uniformly dark, at times bitterly so. These stories cover a wide ground from post-apocalyptic science fiction to erotica, from psychological horror to dark fantasy. At first I thought the book might be too scattered genre-wise, but further along I realized the stories here were held together not by genre conventions, but by thematic commonalities and a consistency to the personal concerns of the characters, apart from place, time or the existence of monsters or magic. Whatever the trappings of one story or another, all clearly arise out of a strong, unified creative impetus. In terms of cumulative effect, these stories hold together quite well, both individually and as a collection. The collection opens with “Horses,” a bleak and psychologically extreme piece of post-apocalyptic SF. It effectively lets the reader know what they’re in for. This is followed by a dramatic shift to what is effectively (despite the insertion of a few elements that feel vaguely “fantastic” but which are not really part of the story’s core) a realistic story of a sexually obsessed and self-destructive college student. Llewellyn depicts the college girl obsessed with the wrong guy with the same raw desperation with which she draws characters beset by a disintegrating. Among the rest of the collection, the best include “The Four-Hundred,” the title story “The Engines of Desire,” and “Her Deepness.” This last, an ambitious novella, is a really impressive example of fantasy world building. Truly dark, deeply weird and at times surreal. While a few of these stories were less effective on the level of compelling plot or characters than they were in terms of language and mood, I found none of them less than satisfying overall. If we can extrapolate from an author’s debut collection to guess what they may be capable of, I really can’t wait to see what Livia Llewellyn does next.